Security systems have come a long way from the bulky cameras and tape decks of the past. Today’s modern security technology is smaller, more efficient and offers better resolution than even the top-of-the line systems of the past. Not only that, modern security technology today offer more controls – and more ways to access those controls – than ever before. In the past, security technology was set up with one thing in mind: to deter criminals or at the very least capture images that could be used later. While that demand remains high, today’s systems have a much stronger focus on day-to-day accountability. We see it most often in the business world. Companies have adopted entire modern technology security systems that are used to tell them who entered which door at the company offices and when. Key cards can be embedded with codes that are unique to each individual, restricting access to certain areas for some and granting it for others. And all of this can be monitored remotely, even from a smartphone. Although these high-tech systems seem perfect for keeping tabs on employees, they work equally as well in residential settings. Parents can easily track when their kids get home, receiving a text message or even a video clip whenever one of the family’s access codes is entered into the modern security technology system. It is these reporting features that make today’s security systems so much more than simple door locks. As with all security solutions, every client’s needs will be different. There is very little that cannot be added to a home or business security system, depending on how much you’re willing to pay. Let’s take a look at some of the features offered by today’s security systems. Almost all security cameras today are linked with some kind of security system. 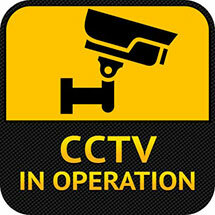 Sometimes the camera runs all the time, sometimes it comes on when a door, window or lock is tried or motion is detected. Systems can be as simple or as complex as the customer chooses. Highly complex systems may allow the home or business owner to manage everything from a smartphone – allowing access, resetting codes, reviewing video footage, accessing history reports and more. Less complex systems still take advantage of today’s technology but provide more passive controls, such as a text or email alert when the lock has been opened but no way to reset those controls remotely. Modern security technology advancements have put total control of the system in the property owners’ hands, not some far-off security firm, which can be a very cost-effective move for small business owners and homeowners who want the sense of safety that a security system provides but don’t want to have to call in to the security firm every time someone accidentally sets off an alarm or forgets a code. DVR Capabilities. Many of today’s cameras operate in conjunction with a Digital Video Recorder (DVR). The DVR works just like a satellite TV DVR which means you can view security footage by date or time, archive it for as long as you want or delete it when it’s no longer needed. These devices can be networked so you can view footage from multiple cameras and they have intuitive search functions to make finding specific footage easier. Remote Operation. Security systems work with both Wi-Fi networks and cell phone technology, which allows the property owner to access the surveillance footage through smartphones, laptops, PCs at work or tablets. Some systems are so advanced, you can zoom in and pan out in real-time from your phone and stream it to your desktop. Authorization Systems. If you’re at all concerned about someone gaining access to your camera or footage, there’s a solution to that too. Multi-tiered authorization systems protect security systems from prying eyes. High-Resolution Images. The resolution on cameras has come a long way. Modern digital cameras offer a higher resolution at a lower price than cameras that were available just a few years ago. Camera Choices. Black and white, color, infrared, wireless, compact or large, the choices in security cameras are limited only by your budget. Some offer extra-fine resolution, others offers a wider field of view. Your needs and security goals will determine which camera is right for you. Home automation. Security camera systems can be completely automated which means they can be tied in to other home automation systems, like HVAC systems or lights and timers. The technology exists to tie all of these systems together in one package. Systems can be programmed to turn lights on when a door is opened. You can adjust the temperature of your home from your phone and more. The choice in business and home security systems is nearly endless. There is no one-size-fits-all system out there; every client will find a need for some features and no interest in others. Working with a Denver locksmith who provides professionally installed security systems is a great way customize a security system to meet your needs and your budget.